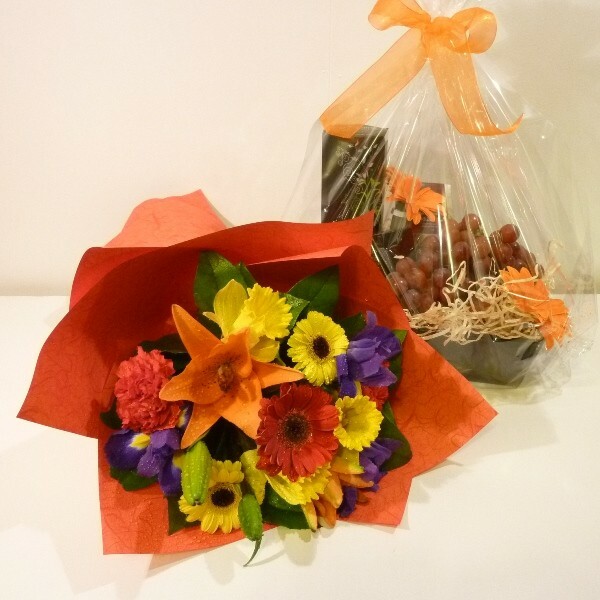 A bright mix of flowers accompanied by a Gourmet Treat Tray including fruit. Presented in a gloss black tray on a bed of wood wool. A lovely gift for any occasion.